Tori Avey is fascinated by the history of food and the stories behind our favorite recipes– why we eat what we eat, how cultural foods have evolved, and how yesterday’s recipes can inspire us in the kitchen today. Blintzes are fried, which makes them a great choice for a breakfast treat. The touch of citrus adds something really special to the blintzes and fills the kitchen with a warm, sweet scent. 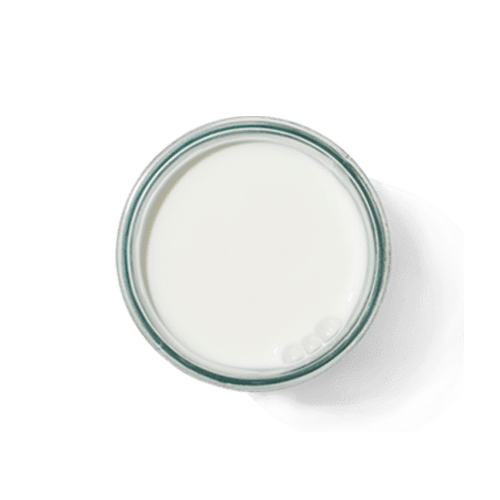 Adding a dollop of Clover Organic Cream on Top Vanilla Yogurt adds a touch of aromatic tang, making them extra indulgent. Enjoy! 1 : If starting the night before … place the Clover Low Fat Cottage Cheese from the filling ingredients into a strainer lined with cheesecloth placed on top of a bowl. Let the cottage cheese drain in the refrigerator overnight to remove excess liquid. 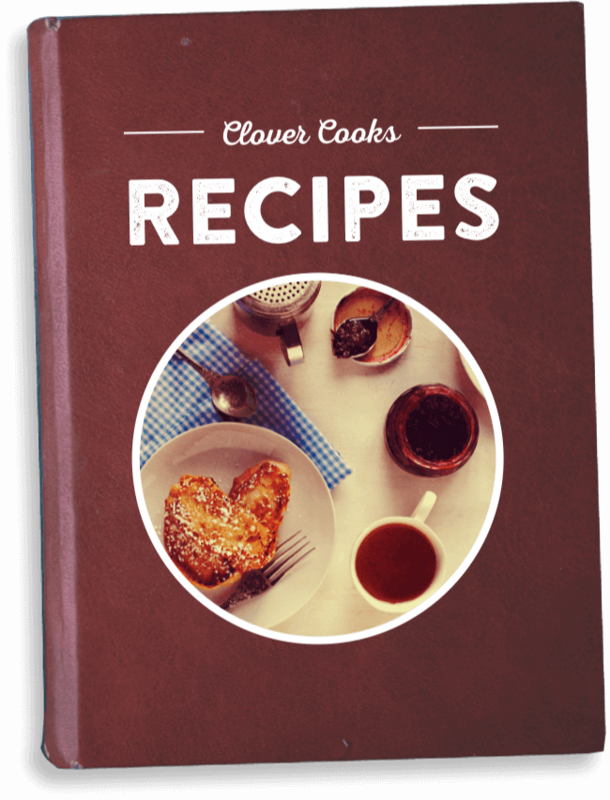 2 : If starting the same day … place the Clover Low Fat Cottage Cheese from the filling ingredients into a double-layer piece of cheesecloth. Gather the cheesecloth into a bundle around the cottage cheese and squeeze gently and repeatedly to remove as much liquid as possible. 3 : Blend all of the blintz batter ingredients together using a food processor, blender, immersion blender or electric hand mixer. Consistency of the batter should be smooth (no lumps). 4 : Warm up a nonstick skillet on medium heat until hot. The skillet is ready when a drop of water sizzles on the surface of the pan. If the water pops or jumps out of the pan, the skillet is too hot - let it cool slightly before starting. If the water sizzles, it’s at the perfect temperature. Grease the entire surface of the hot pan generously with nonstick cooking oil spray (keep the oil spray away from gas stovetop flame). 5 : Pour the blintz batter by 1/3 cupfuls into the pan, then tilt the pan in a circular motion till the batter coats the entire bottom of the pan in a large, thin circular shape. 6 : Let each blintz cook for 60-75 seconds until the edges of the blintz brown and the bottom of the blintz is lightly golden. You can tell it's ready by touching the center of the pancake's surface-- it should be dry and slightly tacky to the touch. Do not flip the blintz to cook the other side. Use a spatula to take the blintz out of the pan and place it on a plate. 7 : Keep the blintzes separated by pieces of parchment paper, wax paper, or paper towels. This will help keep them from sticking together. 8 : When all of the blintzes are cooked, create your filling. Put all of the filling ingredients into a food processor and blend until smooth. Alternatively, you can use a fork to mix all ingredients together. 9 : Now you’re going to stuff and wrap up your blintzes! Place a blintz browned-side facing upward. Put 3 tbsp of filling on the lower part of the browned blintz, about an inch from the edge. 10 : Fold the lower edge of the blintz up over the filling. 11 : Fold the sides of the blintz inward, as though you’re folding an envelope. 12 : Roll the blintz up and over the filling like a burrito, tucking the edges in as you roll. 13 : When the blintzes are stuffed and rolled, the less cooked side will be showing outside. Now you are ready to fry them. Pour 1/2 cup of frying oil into the skillet and heat over medium until hot. Do not let the oil turn brown or start smoking - if this happens, discard the oil and try again. Cook the blintzes in batches of 3 - this will give you space to turn them easily in the pan. Carefully place the stuffed blintzes flap-side down into the hot oil. The blintzes should fry for 1 to 2 minutes until they’re brown and crispy. 14 : Turn the blintzes carefully using a spatula and/or tongs, then fry for an additional 1-2 minutes. Blintzes should be evenly browned on both sides. Serve blintzes warm. They can be served as-is or made extra special by topping with a dollop of Clover Cream on Top Vanilla Yogurt.